President Donald Trump on Thursday praised his top economic adviser, Gary Cohn, who announced his resignation Tuesday. “He may be a globalist, but I still like him,” the president said. Trump also said Cohn could come back to the administration. 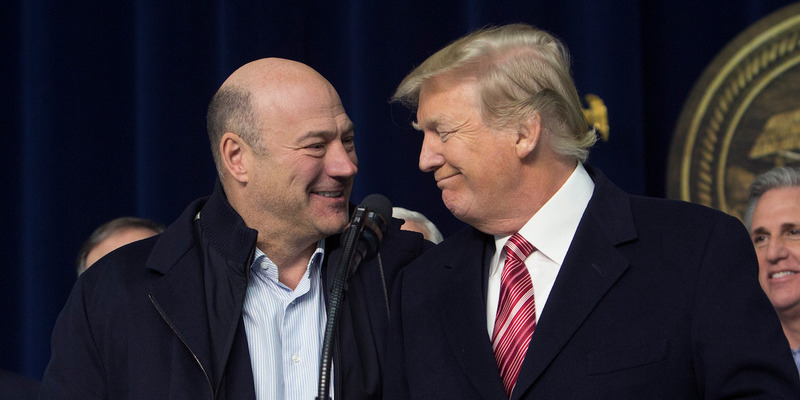 President Donald Trump on Thursday praised his top economic adviser Gary Cohn, who announced his resignation on Tuesday, and said he could return to the White House in the future. Reports have suggested Cohn may be considered for a major role in the future and is open to coming back. Prior to Cohn’s departure, Trump spoke to Cohn about becoming chief of staff. Cohn was on of the major voices in the administration speaking against the newly announced tariffs on steel and aluminium. The former Goldman Sachs executive has argued that the tariffs will end up hurting the US economy.